So, yeah, this isn't my usual bright, in-your-faceness, but I like playing with texture and gradients within a monochromatic palette. This is one of my favorite dresses; a wrap or faux-wrap dress looks good on just about anyone; the belted waist falls at the smallest part of most women (high waist), and the knit shoulders add some visual and tactile interest. A gold pair of hoops are classic, as is an enamel bracelet. I especially love a hinged bracelet because my hands are wider and most bangles don't make it over them. Loafers make almost any outfit look polished and a tiny bit prep and in lieu of my prettier jade pendant (for good luck) I subbed in my "lifesaver". 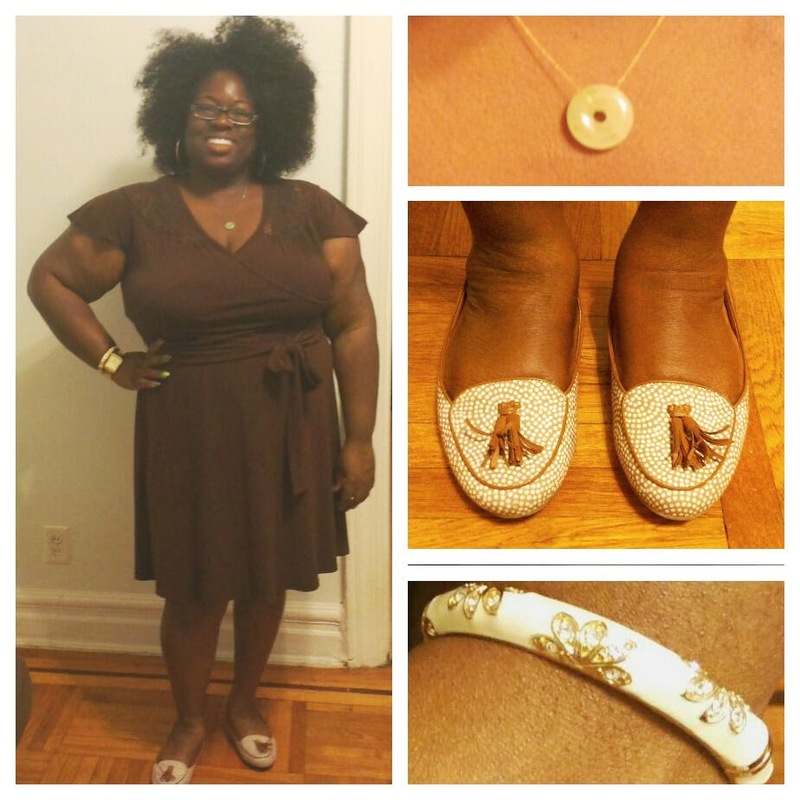 Brown faux-wrap dress with crocheted shoulders, jade pendant, spotted, tasseled, loafers, gold and cream enamel hinged bangle.